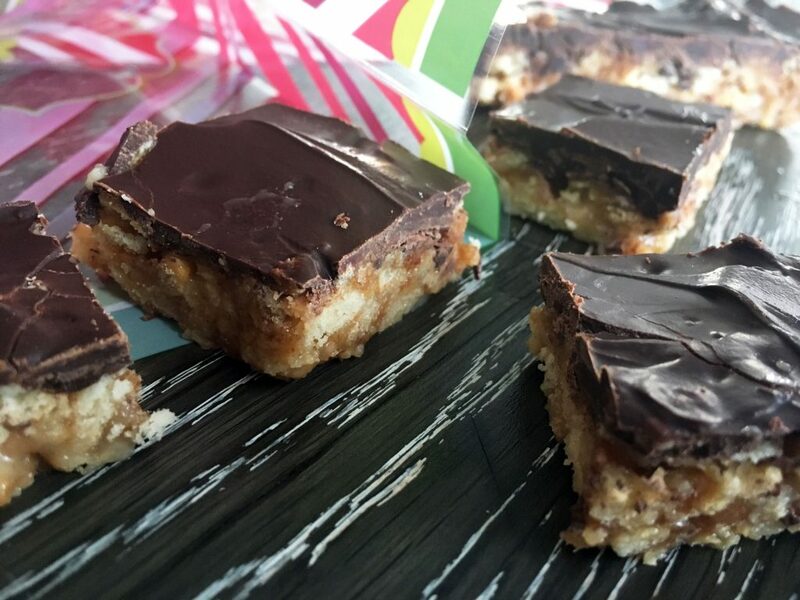 I tried these delicious squares last year at our annual cousin’s Christmas party. My cousin had made them and one bite had me hooked. They are rich and sinful and definitely worth a try. I love giving homemade gifts, they are so personal and don’t break the bank. 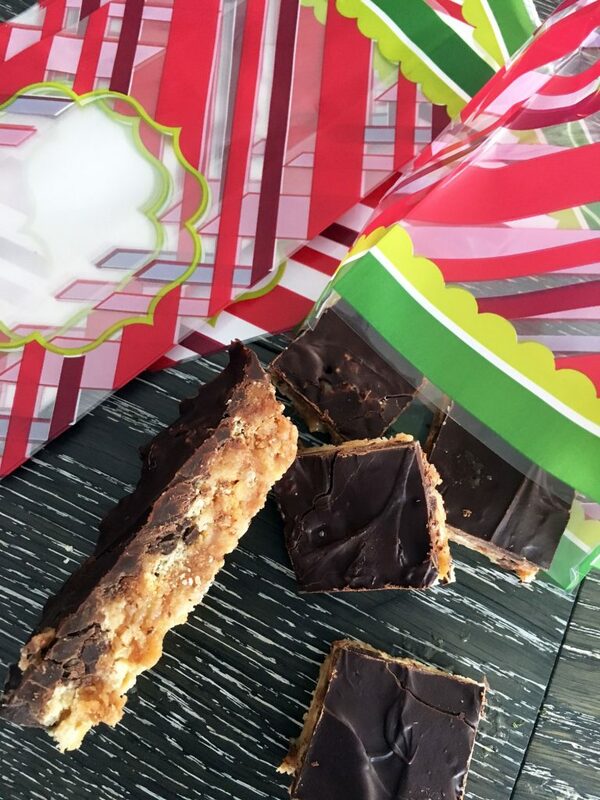 With only 4 ingredients, Skor Bars are super easy to put together and would make an excellent gift. Just fill a bag or a tin and you’ve got yourself the perfect treat. Crush the crackers directly in the bag. Combine the crackers with the condensed milk and Skor chips. Place mixture into a parchment lined 9" x 13" pan and bake at 350 degrees for 10 minutes. Pour the bag of chocolate chips on top and place back in the oven until the chips are melted. Smooth chocolate with a knife and let cool.